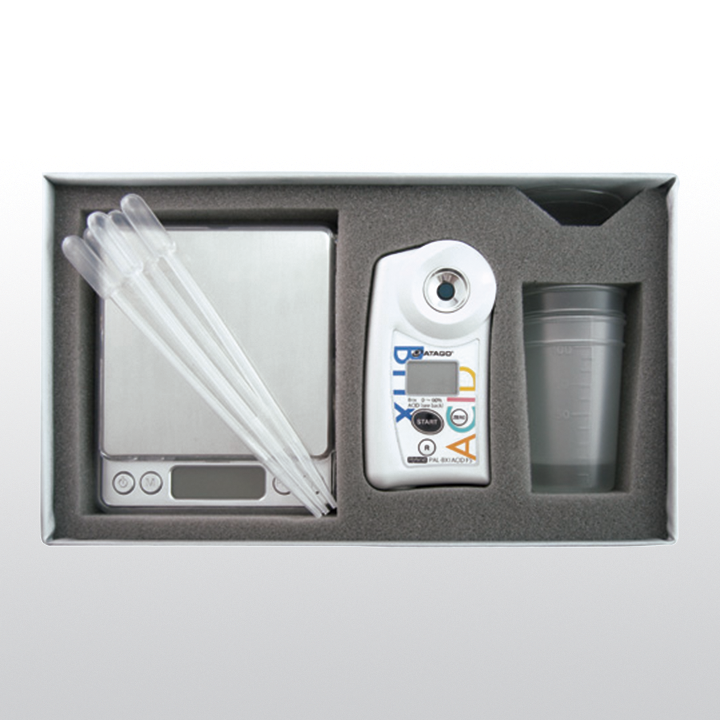 Product information "ATAGO PAL-BX|ACID5 Master Kit (Apple)"
The PAL-BX|ACID pocket sugar and acidity meters measure sugar and acidity level in fruit juices, milk, beer, yogurt, sake or vinegar. Each unit in this serie measures both Brix (sugar level) and acidity. The PAL-BX|ACID meters are uniquely designed with a specific scale best suited for the sample it is measuring. The PAL-BX|ACID meters measure the total acidity in a sample and convert it into either citric, tartaric, malic, acetic, or lactic acid concentrations, depending on the unit. PAL-BX|ACID F5 Mater Kit is complete kit dedicated for apples (Including measuring spoon, scale and beaker). Related links to "ATAGO PAL-BX|ACID5 Master Kit (Apple)"